Abgar V the Black or Abgarus V of Edessa was a historical Syriac ruler of the kingdom of Osroene, holding his capital at Edessa. He ruled in from 4 BC to 7 AD and from 13 AD to 50 AD. During the reign of Abgar IX (the 2nd or 3rd century AD), the first Christian ruler of Edessa, a legend was coined of correspondence exchanged between Abgar V and Jesus Christ. In his Historia Ecclesiastica Eusebius, Bishop of Caesarea, mentions that in little known archives of Edessa he read the letter of Abgar V written to Jesus Christ (Historia Ecclesiastica I, xiii). According to St. Eusebius, one of the 72 post-Apostle disciples, called Thaddeus of Edessa (there really was the first apostle from Syria whose name was Addai), was sent by Thomas the Apostle to Edessa. Thaddeus was to heal Abgar V and convert the Assyrians. A Syriac document, entitled Doctrine of Addai, from the turn of the 4th and 5th centuries AD is connected with the history of correspondence exchanged between Abgar V and Jesus Christ. In this document you may read that Ananias, the emissary of Abgar sent to Jesus, returned to Osroene with the image of Christ. 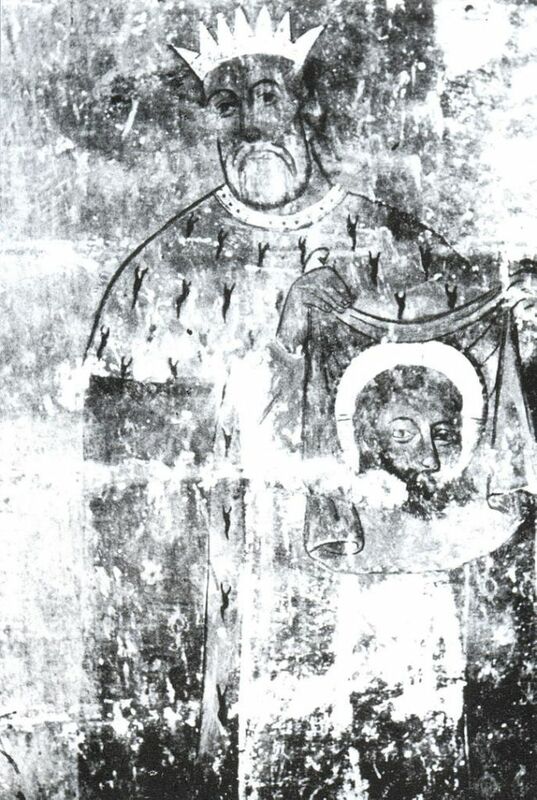 Since the 6th century, the mention of the Saviour's image was commonly present in the legend of correspondence exchanged between Abgar and Christ. 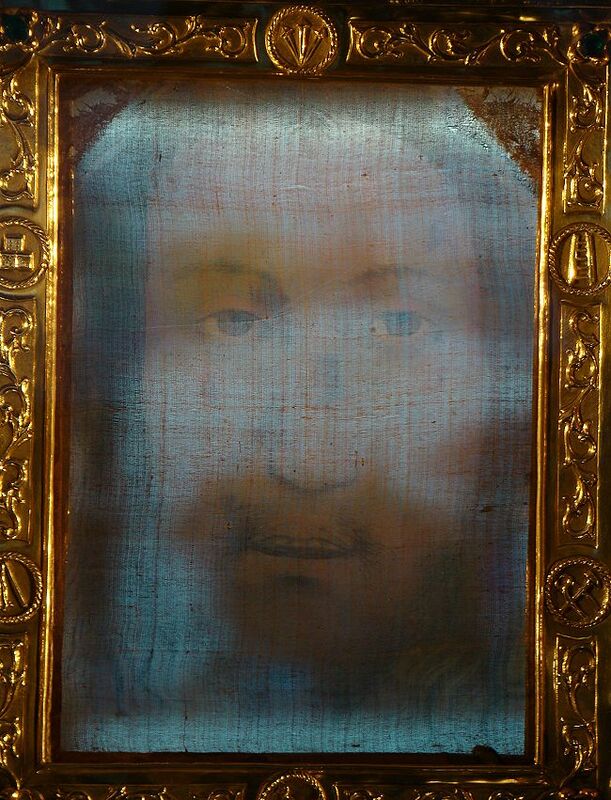 Subsequent versions of the legend claimed that the image was a piece of cloth (or wiper) on which Jesus's face was miraculously imprinted. 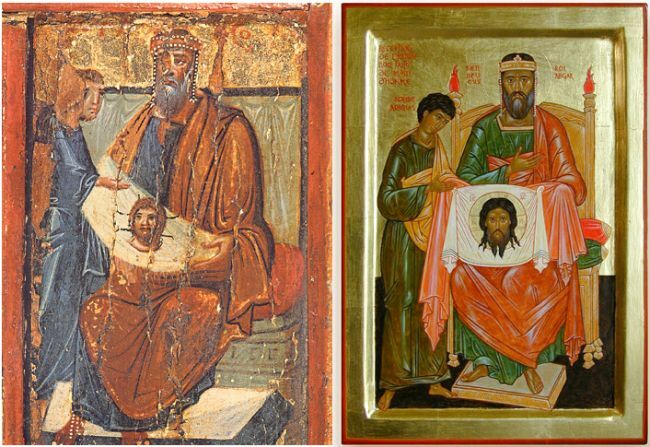 The image created in such a way was called "the icon of icons" or the image of the Saviour not made by hand or acheiropoietos or Mandylion. This holy object has been testified to be present in Edessa since 6th century AD. In the Middle Ages the story of contacts between Abgar and Christ became famous thanks to a 10th-century text written by the emperor Constantine VII Porphyrogenitus entitled Story of the image of Edessa. The text was written on the occasion of translation (or transfer) of Mandylion of Edessa to Constantinople in August 944 AD. Thanks to including the "Story..." in the collection of texts read during the Orthodox liturgy (the so-called synaxarion of Constantinople), the text became propagated everywhere where such liturgy was held, which was mainly the Byzantium and the areas occupied by eastern and southern Slavs. 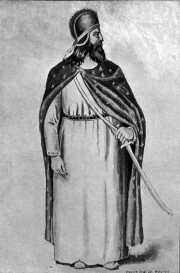 Apart from the "Story...", the story of Abgar was re-told or altered in numerous written sources, such as Golden Legend by Jacobus de Voragine. The authenticity of correspondence exchange between Abgar V and Christ was questioned by St. Jerome (Commentaries in Ezechiel ad 44, 29–30) and St. Augustine (Reply to Faustus the Manichaean 28,4; On the Harmony of the Evangelists 1, 7, 11). Under their influence, the text was rejected as apocryphal by Pope Gelasius I's decree in the 6th century. Emperor Romanos I Lekapenos accepts the Mandylion in Constantinople. 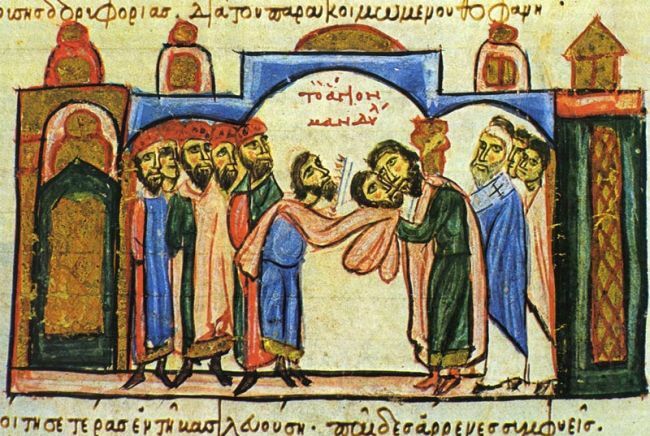 The Story of the image of Edessa is a Greek text describing how the mandylion was created and transferred from Edessa to Constantinople in 944. The full title could be translated as "The story of the image of Edessa by Constantine Porphyrogenitus, a Christ-given Roman emperor. A narrative based on various historical accounts about the holy image of Christ, our Saviour, not made by hand and sent to Abgar; and how it was moved from Edessa to Constantinople, the queen among cities, enjoying special prosperity". The relic's transfer took place on 15 August 944 AD, but the holiday falls on 16 August and has been celebrated up to this day in the Orthodox Church.